(…continued) We need rules. 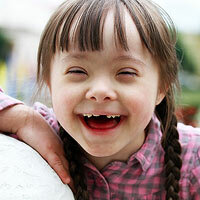 Good rules protect people, and God is angered when his rules are broken and people are hurt. Rules keep us in line so we can live together and get along. They teach us how to live with wisdom and faith and courage. The Bible is full of rules. Here are just a few: “Trust in the Lord, and he will make your paths straight… Fear the Lord and shun evil… Tell the truth, don’t steal, honor your parents, do not kill, do not covet, be grateful, serve others, give thanks, be kind, be generous, love others…,” etc. The more we obey these rules, the better our lives will be. Life without rules would be impossible– but life becomes dreadful when we desire only the strict enforcement of all the rules. That’s what the Pharisees wanted, those religious leaders with whom Jesus had so many disagreements. The Pharisees and other teachers of the Law saw only the rules, and became legalistic and judgmental, and they were very hard on people. They were like Mr. Murdstone– always critical, always watching for a mistake, always finding something wrong with someone. They had the rules right, there was no doubt about that. They got them right out of the Bible. Jesus was also in favor of rules, but Jesus wanted to talk about more than just obedience. Jesus also had something to say about mercy and love and the forgiveness of God. But the Pharisees were not eager to hear it, so they had a problem with Jesus. 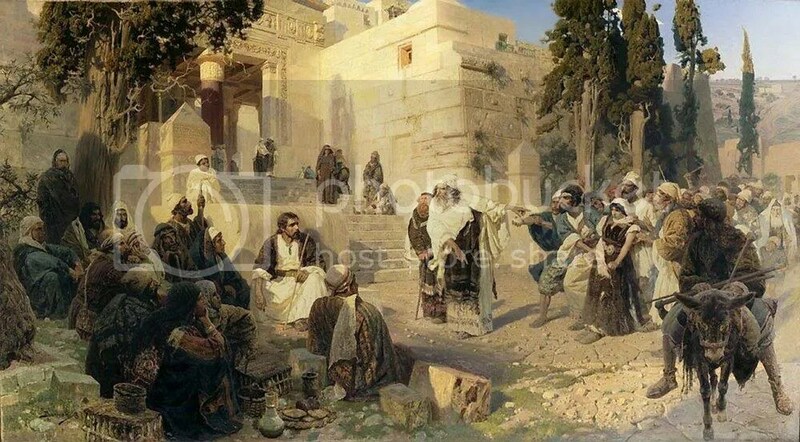 In the confrontation between Jesus and the Pharisees in John chapter eight, the Pharisees were about to stone a woman to death for breaking the rule against committing adultery. They did not see such an awful execution as something bad. In their minds, this was a good thing to do, and they were good people to do it. They had rules about these things that went all the way back to Moses, and the good and right thing to do now was to throw big rocks at this woman until she was dead. But before they did, they decided to try and trap Jesus, this new teacher who was talking way too much about love and kindness. This would change his tune, they thought. Jesus could not publicly contradict Moses. And Jesus did not contradict Moses. Jesus would never make a point by going against the Old Testament. That was also God’s word, rules and all. Rules are good, and even though Jesus loved everybody and was a nice guy, he never wanted to rid of the rules. He even said one time that he did not come to abolish the Law, but to fulfill it. Jesus did not fall for this trap, but instead changed the whole argument. He did not contradict Moses. In fact, implied in what Jesus said was the permission to stone the woman. He did not say, “Be nice fellas, don’t kill her; adultery isn’t so bad.” Rather, he settled everything with simple sentence: “If anyone of you is without sin, let him be the first to throw a stone at her.” That was the end of argument. One by one, the stones dropped out of each hand, and everyone walked away. Implied in the words of Jesus was to say, “If you want to enforce the rules, let’s enforce all the rules. I’m sure we could find something in the Law of Moses for which to punish each and every one one of you. So anyone not guilty of anything may fire away.” But not one stone was thrown. Jesus pointed out to them that they were being selective in their punishing of the rule breakers. After all, where was the other guilty party, the man with whom the woman was committing adultery? Why was he not dragged out for punishment? Jesus was not abolishing the Law, he was expanding it. “Okay,” he was saying, “Let’s go after everyone’s sins if that is what you want; and before long, we’ll get around to you.” No one wanted to start that process. Jesus agreed with the Pharisees that what the woman was doing was wrong. And for her sake, not the sake of the Pharisees or the rule-book, but for her sake, he said, “Go and sin no more.” The rules are given by God for our good and for the protection of our communities, and God still wants them obeyed. But God doesn’t just want our obedience, he wants us. He wants our hearts and our minds and our souls. So he balances his rules with his love and forgiveness. The Law and the Gospel. It is everywhere– in all of life and throughout God’s Word. We receive mercy and we obey. God wants our obedience, but he forgives our failures. And God wants us to continue to turn to him so we can receive his grace, so that our lives can be molded and shaped by his love and his Word. Story #1) Harold owned a grocery store in a small town in northern Minnesota. He was a good businessman, kept a clean store, always had a good selection of meat on hand, and stocked good, fresh fruits and vegetables. He was friendly, well-liked, and always had plenty of customers. Business was good and Harold had no trouble at all turning the small family business he had inherited from his father into a large and prosperous store. Then came the depression of the 1930’s, along with several crop failures. Everyone was short of money, but everyone still needed groceries, so Harold’s store kept busy. However, no longer was it prosperous. Harold had always been good about extending folks credit when they had tough times, but now, it was tough for almost everyone. He tried to say no and tried to draw the line and tried to be firm about collecting on past due accounts. But he was never very good at it. He knew people had to eat, and he could not send anyone home to their families without food. Most folks did all they could to pay their bill, but some began to take advantage of Harold’s good will and easy credit. After a few years, the prosperous store was in financial difficulty, then serious problems, and then it had to close, and Harold was bankrupt. And then getting groceries became a hardship for all. Everyone had to go to the store in the next town where the owner offered no credit to anyone under any circumstances. Story #2) In Charles Dickens’ novel David Copperfield we meet the classic wicked stepfather, Mr. Murdstone. David’s father died before he was born. When David was seven, his mother married Edward Murdstone, a man much older than she, who at first seemed to be the perfect gentlemen. However, soon after they were married, he turned into a terrible tyrant. Mr. Murdstone still looked like a gentlemen, was soft spoken and polite and always very proper. But he was extremely harsh and cruel. His cruelty came from his excessive attention to detail and insistence on rules and obedience. He insisted on ruling his wife and her son and their servants, and he did so with an iron fist. His demands were high and his punishments severe. Everyone was afraid to speak in his presence, because no matter what anyone said it would be criticized. But then, if they attempted to play it safe and keep silent, they were criticized for being rude and unfriendly. David received the brunt of his step-father’s meanness because of Mr. Murdstone attempts to tutor David. This put David in an impossible position because nothing was ever good enough, and the harsh cruelty was relentless. And one is never sure if Mr. Murdstone was really a wicked man; or a man sincerely trying to do what he believed was best for the family, but in all the worst ways. Either way, the result was a very troubled family, and much sadness came to them all as a result of Mr. Murdstone’s insistence on everything being done just right. Consider the two stories. We might say Harold’s financial difficulties came about because he was too merciful. He failed to insist that customers pay their bills. He did not enforce any rules. He was a nice man, but people abused his good will and the story ended sadly for him. On the other hand, Mr. Murdstone’s problem was that he was not merciful at all. He had nothing but rules, and enforced those rules always and without exception. He may have loved his family, but with no mercy, he became a mean man and drove them all into misery and despair. The two stories are different, but it is the same problem in both. It is a problem that we face in many areas of life. There are many parents like Mr. Murdstone who are too strict, and there are many who are too lenient. There are people in business who are too nice to be successful, like Harold; and there are those in business who are not nice at all, abusing those they work with, and excusing everything by saying, “Well, that’s how it has to be in business.” There are teachers who are too strict and demanding, and there are those who have given up and don’t expect anything of anyone anymore. There are judges, police officers, and jailers who are too lenient and there are those who are too soft. There are churches that preach only the rules, and without any message of grace or forgiveness, destroy the faith of many. There are churches who abandon all rules and talk only about love and grace, disregarding much what the Bible says. Of course we need rules and we need to find ways to make children, students, employees, drivers, and everyone else obey those rules. But at the same time, we can’t have only rules. We also have to have love and kindness and mercy and forgiveness and second chances. We need a balance between obeying the rules, and showing mercy and kindness. If you go too far one way or the other, you are going to have trouble. In many areas of our lives we are in a constant struggle to keep this balance. We see this same thing in the Bible, from beginning to end, as we see God trying to deal with us. We see rules all over the place; the ten commandments are just the beginning. And, we see the breaking of all those rules. And then we see punishments and disciplines of every kind. And then, of course, we see forgiveness and mercy and love and kindness. But then, we see warnings about not abusing God’s mercy and not mocking his kindness. Back and forth the Bible story goes, as God keeps looking for ways to deal with his people. Psalm 103:8, 13 — The Lord is compassionate and gracious, slow to anger, abounding in love. As a father has compassion on his children, so the Lord has compassion on those who fear him. Hebrews 12:5b-7 — My son, do not make light of the Lord’s discipline, and do not lose heart when he rebukes you, because the Lord disciplines the one he loves, and he chastens everyone he accepts as his son. Endure hardship as discipline; God is treating you as his children. For what children are not disciplined by their father? (…continued) This is not an uncommon situation. It happens all the time. A while back an old friend was telling me about the stresses he was having at work. “Sure,” he said, “I’m making more money that I ever thought I would, but it’s killing me.” He said he’s been thinking back to the days when his weekly paycheck was $191.21, and he said he was happier then. This is common problem, but Millard and Linda Fuller came up with an uncommon solution. Preceding that radical notion had been some intense soul searching and the realization that their biggest loss was their loss of faith. Therefore, they had already decided to recommit their lives to God. And they did go on to get rid of all their money and everything they owned– every dollar and every possession. They were able to do that because they went to live at Koinonia Farms in Americus, Georgia, a Christian community where all things were owned in common and no one possessed anything of their own. They walked in there with the clothes on their back, and started over with no money and no possessions and no income, other than the room and board they received for their participation in the work of the farm. After a couple years at Koinonia, they went to serve as missionaries in Africa, where they again received an income, though far less than they were used to. It was in Africa that they began building houses and got the idea for Habitat for Humanity. I am not saying that is what everybody is commanded to do, and Fuller wouldn’t say that either, and neither would Jesus. 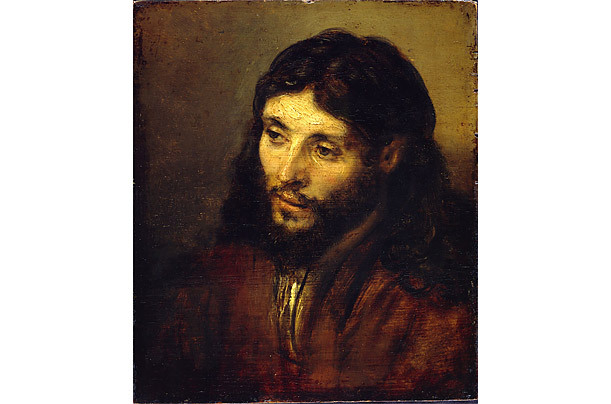 Jesus told one man to sell everything he had and give it to the poor; but he did not tell that to anyone else, even though he knew many other wealthy people. Jesus was always telling everyone to be generous and serve others, but only once did he tell a man to sell everything and give it all away. But the Fullers believed that this was what God wanted them to do at that time, and so that is what they did. That was the path they took, and it saved their marriage, and provided the opportunity to begin what would become a great international work for the Lord, Habitat for Humanity. In the words of the book of Hebrews, BY FAITH, the Fullers gave away everything and started over, trusting in God’s care and guidance. In telling his life story, Millard Fuller liked to refer to Matthew 6:33 where Jesus said, “Seek ye first the kingdom of God, and all these things will be added unto you.” Fuller said that when he was younger, he was seeking all the other things first, and it did not make him happy, even when he had gotten it all. Only when he put God first did he become happy, and his marriage was restored, and his stress was reduced, and his health improved, and his faith was renewed. Fuller wrote ten books, and in all of those books he talks a great deal about his favorite theme– generosity. He said his whole life turned around when he changed his mindset away from acquiring more and more, to giving more and more. He said God commands us to be generous and blesses us when we are generous. And “Isn’t that the very essence of the love of God?,” Fuller asks, “God who gave us His only Son, sending him to die for the forgiveness of our sins.” God is always giving to us. Everything we have is from God. Should we not be generous with what we have been given? Fuller tells many stories of the good feeling he received from being generous. Not long after the Fullers decided to give everything away, Millard was on a plane sitting next to a young lady with whom he had an interesting conversation. He found out that she was the book-keeper for a small business. But, she said, she might not be there for very long, because they had a couple setbacks, and things weren’t going very well, and the company would probably have to close. She was very sad about this, because the owner was a good man and it was a good business, but due to some things beyond his control, he just could not get out of the hole he was in. Fuller asked a few more questions about the owner and the business, and wondered if they could make a go of it if they got past this crisis. “Yes,” she said, “I think we would be fine.” Then Fuller asked how much money it would take to keep her boss in business. She told him that with about $25,000 they would be okay. Fuller then told the woman that he would give her boss the $25,000. “What? You don’t even know my boss!,” she said with disbelief. Well, he got the address, sent the money, the business was saved, and went on to grow and become very successful. In time, they all become good friends, and the rescued businessman returned the generosity many times over by becoming an ongoing contributor to Habitat for Humanity. Generosity is a powerful thing, Fuller says, and God blesses the generous giver in all kinds of ways, the greatest of which is by bringing our hearts closer to His. Therefore, since we are surrounded by such a great cloud of witnesses, let us throw off everything that hinders us, and the sin that so easily entangle us, and let us run with perseverance the race marked out for us. Let us fix our eyes on Jesus, the author and perfecter of our faith, who for the joy set before him, endured the cross, scorning its shame, and sat down at the right hand of the throne of God. 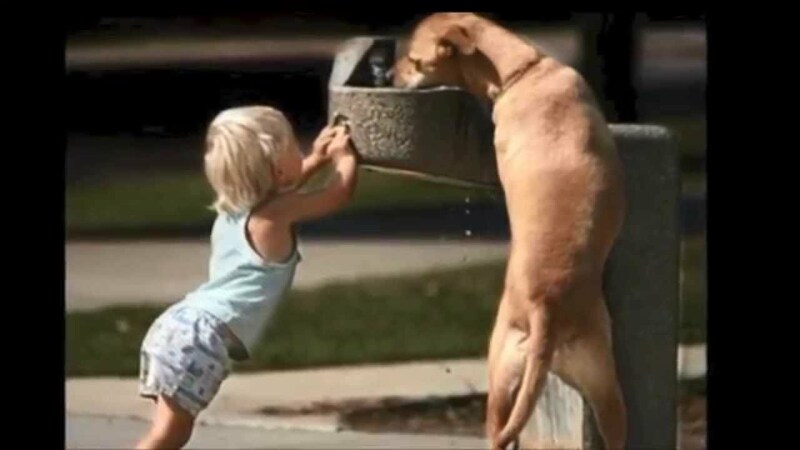 Proverbs 11:25 — A generous person will prosper; whoever refreshes others will be refreshed. Lord Jesus, who for our sakes became poor, so that by thy poverty we might become rich; grant to thy people so to give of their substance as to acknowledge that they belong wholly to thee. Amen. Hebrews 11:1 is the classic Biblical definition of faith. In the rest of that chapter, the writer goes on to more fully explain, define, and describe faith. How does he do that? He expands on his definition of faith by referring back through the history of God’s people to the stories of faithful people. What does it mean to have faith? Well, Hebrews says, here’s what it means: it was by faith Noah built an ark; it was by faith that Abraham, when God tested him, offered up his son Isaac; it was by faith Moses led the people through the Red Sea; it was by faith that the walls of Jericho fell– and on and on it goes. In just that one chapter, there are twenty two sentences that begin with the words “by faith;” and then after all that the writer says, “And I don’t even have time to tell you about Gideon, Samson, Jepthah, David, Samuel, and all the prophets, who BY FAITH conquered kingdoms, shut the mouths of lions, quenched the fury of the flames, endured torture, received back the dead who were raised, were persecuted and pursued, lived in caves and holes in the ground,” and on it goes, until finally, it says “Many were put to death for the world was not worthy of them.” How does the Bible describe and define faith? It does so by telling the stories of faithful people. And what was Jesus’ own favorite method of teaching the faith? It was by the telling of parables, stories. He told all kinds of stories about interesting people who learned what it means to have faith and obey God. There was a certain man who fell among thieves… there was a man who had two sons… there was this woman who wanted to plead for justice, but the judge refused to hear her case… there was a sower went out to sow some seed… and so on. And how do we teach children about faith? Primarily by the telling of Bible stories. Sunday School curriculum is based on the telling of stories, and even if the lesson is teaching one of the ten commandments, it will usually start by the telling of a story, either from the Bible, or from a made up story about a grade school girl who learns what it means to obey her parents, or about a junior high boy who learns what happens when you get caught stealing and have to go and ask for forgiveness from the man at the store. We learn about the Christian faith and how to live it by the telling of stories. With that in mind, I want to tell the story of Millard Fuller, the founder of Habitat for Humanity. Fuller’s life story, his faith, and the organization he and his wife began, have been an inspiration to many millions of people. It is worth remembering this man, who, by faith, accomplished so many great things. Millard Fuller did not start out intending to become a man of faith who gave his life in service to others. His first goal in life was to become a millionaire, a goal which he accomplished by the time he was 29 years old; and that was in 1964! In the next three years, he made a few more million. He loved it. He and his wife were buying everything money could buy– a two thousand acre hobby farm, a huge mansion, prize winning horses, speed boats, big cars, his own plane, and whatever else he could get his hands on. This poor little Alabama country boy who started out in business as a kid selling worms to fishermen, had worked hard and made it to the big leagues. He was going to enjoy it, and did for a little while. Hebrews 11 (selected verses) — By faith Noah, when warned about things not yet seen, in holy fear built an ark to save his family… By faith Abraham, when called to go to a place he would later receive as his inheritance, obeyed and went, even though he did not know where he was going… By faith even Sarah, who was past childbearing age, was enabled to bear children because she considered him faithful who had made the promise… By faith Abraham, when God tested him, offered Isaac as a sacrifice… By faith Isaac blessed Jacob and Esau in regard to their future… By faith Jacob, when he was dying, blessed each of Joseph’s sons… By faith Joseph, when his end was near, spoke about the exodus of the Israelites from Egypt… By faith Moses’ parents hid him for three months after he was born, because they saw he was no ordinary child, and they were not afraid of the king’s edict… By faith Moses, when he had grown up, refused to be known as the son of Pharaoh’s daughter; he chose to be mistreated along with the people of God rather than to enjoy the fleeting pleasures of sin… By faith the people passed through the Red Sea as on dry land; but when the Egyptians tried to do so, they were drowned… By faith the walls of Jericho fell, after the army had marched around them for seven days... And what more shall I say? I do not have time to tell about Gideon, Barak, Samson and Jephthah, about David and Samuel and the prophets, who through faith conquered kingdoms, administered justice, and gained what was promised; who shut the mouths of lions, quenched the fury of the flames, and escaped the edge of the sword; whose weakness was turned to strength; and who became powerful in battle and routed foreign armies. Women received back their dead, raised to life again. There were others who were tortured, refusing to be released so that they might gain an even better resurrection. Some faced jeers and flogging, and even chains and imprisonment. 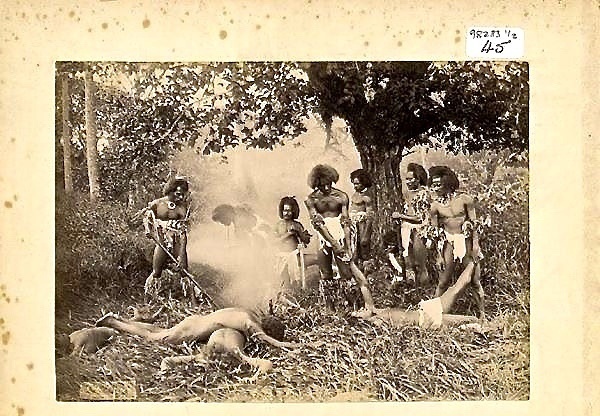 They were put to death by stoning; they were sawed in two; they were killed by the sword. They (were)… destitute, persecuted and mistreated. The world was not worthy of them. Almighty and everlasting God, who kindled the flame of your love in the hearts of the saints, grant unto us the same faith and power of love; that, as we rejoice in their triumphs, we may profit by their examples; through Jesus Christ our Lord. Amen. From The Hand that Holds Me, 1984, by Michael Rogness, pages 47-49. Salvation, or being saved, are terms often used to describe God’s purpose for mankind. It is interesting to ask a group of people, “What is salvation?” What does it mean “to be saved?” We talk about it, but do we ever stop to think what it is? What does God have in mind for us? Salvation is one word we can use, but the Bible uses many others; justification, reconciliation, redemption, forgiveness, deliverance, transformation, rebirth, renewal, victory over evil, atonement, eternal life. The New Testament does not attempt to give any reasoned theory of the atonement. Instead it gives us a series of pictures, which tell us in the language of the heart what the Cross meant to those who wrote. We were in debt, and Christ paid our debt for us; we were slaves, and he gave his life for our ransom; we were condemned before the judgment seat of God, and Christ bore our penalty that we might go free; we were children in disgrace, and he restored us to the family circle; we were prisoners shut up in the fortress of Satan, and Jesus broke in to set us free. The terminology of the bank, the slave market, the law courts, the temple, the home, and the field of battle is pressed into service in an attempt to do justice to the fact of experience that sin is no longer a barrier between man and God. So there are lots of words for salvation. How you describe it will depend on how you perceive what is wrong with the human race and what needs correcting. Or, in personal terms, how you think of salvation will reflect the state of your own soul and how God meets you. If the problem of guilt or sin is uppermost in our minds, than ‘forgiveness of sins’ will be the first thing we think about as salvation. If we feel rejected and unacceptable, then ‘acceptance’ will be the dominant theme of salvation. Perhaps you can think of others. God understands the entire spectrum of human experience, and salvation is whatever way he comes into our lives wherever we are. Whatever the situation, it is God’s grace which confronts us. Philippians 4:19 — My God will meet all your needs according to the riches of his glory in Christ Jesus. II Corinthians 2:19a — God was in Christ reconciling the world to himself. Romans 5:6 — You see, at just the right time, when we were still powerless, Christ died for the ungodly. I John 4:10 — This is love: not that we loved God, but that he loved us and sent his Son as an atoning sacrifice for our sins. Romans 5:1 — Therefore, since we have been justified through faith, we have peace with God through our Lord Jesus Christ. II Corinthians 1:3 — Praise be to the God and Father of our Lord Jesus Christ, the Father of compassion and the God of all comfort. A child was born in Bethlehem and his name was Jesus. When he grew up he healed the sick and restored the dead to life. He called himself the Son of God and declared, “I and the Father are one.” He called men and women to repentance and exhorted them to have faith in him. He gathered a small group of disciples around him and hinted to them that he must die and be raised from the dead. He broke bread and blessed wine for them, and offered them the forgiveness of sins. Shortly afterwards, he was killed, but then rose from the dead. And his disciples carried his message across the world. That is what human eyes and ears witnessed. There is no God’s-eye view in that. There is just the testimony of men and women who had neither ax to grind nor material product to sell. It is the testimony of men and women who in many cases laid down their lives rather than deny what they or their predecessors had seen and heard of Jesus, the Son of God. And what is there for human eyes and ears to witness today– apart from this record of what happened long ago? There is the testimony of millions of men and women of all races and of all ranks, of all varieties of accomplishment, and of all levels of understanding; that they have found in a person, Jesus Christ, a Savior, a brother, and friend, who has lifted the burden of guilt from their hearts and given them peace and stability. Do not, if you are an unbeliever, if you are skeptical, be put off by the fact that this experience seems to mean a thousand different things to a thousand different people. In one person, the heart and core of it seems to consist in a vocation of personal evangelism, rooted and grounded in expounding passages of the Bible. In another person, the heart and core of it seems to consist in regular attendance at Mass, regular confession to a priest, and the thumbing of beads in prayer. Do not make the mistake of thinking that these two people are involved if different systems of belief. For both of them, devotion to their Savior Jesus Christ is the living center of their practice and their convictions. Indeed, the variety of modes in which Christian devotion to Christ manifests itself is a strength rather than a weakness of the Christian religion. G. K. Chesterton told how he had been compulsively drawn to Christ by the fact that he was a person whom everyone praised for a different reason. As we read the Bible and the works of wise Christian teachers, a hundred Christs pass before our eyes. There is Christ the King, and there is Christ the carpenter of Nazareth. There is the Son of God seated at the right hand of the Father in heaven, and there is the child of Mary lying in a manger. There is the Good Shepherd and the true Vine, the Spouse of the Church and its cornerstone, the Sower of seed and the Fisher of men. Christ is the high priest standing at the altar, and the servant with water and a towel kneeling at your feet. He is the Light of the world and the knocker at your door. He is the Lamb sent to slaughter and the promised Messiah. It is not surprising that those who claim to serve him can do so in ways so diverse. Colossians 1:15-23a — The Son is the image of the invisible God, the firstborn over all creation. For in him all things were created: things in heaven and on earth, visible and invisible, whether thrones or powers or rulers or authorities; all things have been created through him and for him. He is before all things, and in him all things hold together. And he is the head of the body, the church; he is the beginning and the firstborn from among the dead, so that in everything he might have the supremacy. For God was pleased to have all his fullness dwell in him, and through him to reconcile to himself all things, whether things on earth or things in heaven, by making peace through his blood, shed on the cross. Once you were alienated from God and were enemies in your minds because of your evil behavior. But now he has reconciled you by Christ’s physical body through death to present you holy in his sight, without blemish and free from accusation– if you continue in your faith, established and firm, and do not move from the hope held out in the gospel. Lord Jesus, who once wandered the earth, leaving footprints which we should follow, look down upon each wanderer: strengthen the weary, encourage the despondent, lead back the erring, and comfort the striving. Lord Jesus, who at the end of days shall return to judge whether each person individually has followed you, let your example stand clearly before the eyes of our soul to disperse the mists, and strengthen us that we may firmly keep this before our eyes. May we, who must one day be brought before you for judgment, also through you to be brought to eternal happiness hereafter with you. Amen. By Lutheran pastor and author Walter Wangerin, in Christianity Today, page 66, August 10, 1984. (Notice the date of this article. Wangerin objects to the use of the ‘R’ word, and it is no longer used; but it was commonly used yet in 1984). Thanne’s sister’s name is Dorothy. Thanne is my wife. That makes Dorothy my sister-in-law. Now, that always seemed a curious thing to me: that we should label one who lacks the reasoning capacity in terms of contempt, judging her undeveloped, subhuman, less than we are, piteous, retarded! Yet those who lack more critical capacities– such as to discern right from the wrong and to do the right, such as to love– these people, severely retarded in other ways, we take for granted, labeling them nothing at all. Why do we damn the irrational, while granting the unmoral and the unloving all the rights, choices, and protections of society and law? –When suddenly the back door shocks the countryside with a bang! Three heavy steps, and Dorothy stands in front of us, hands on her hips, effectively blocking the sunset. Without a word she turns, presents us with her rear, then jams herself down between our knees, the farmer’s daughter and mine. Boom, push, tussle, and boom! Dorothy made a seat for herself and a division between us. And so we sit the rest of the night. There shall be no hanky-panky on her porch (her jaw is firm and her arms are folded). And no talk but what is fit for company (her silent eyes do twinkle distantly). God may have smiled, but Dorothy frowned. Now, we can analyze the irrationality of Dorothy’s acts; we could even get angry at her for not understanding the ways of the world. But I haven’t the heart to do that, for her motives were unimpeachable, and her love of such sophisticated quality that few of the intelligent beings about me now– yea, even at Harvard University– have attained unto her degree. And yet! I learn that were Dorothy’s mother pregnant with her today, a doctor could use ultrasound scans to guide a needle through the womb and into the amniotic sac, withdrawing fluid to analyze the cells there; and finding those cells to possess one extra chromosome, that mother could freely choose to abort the fetus, seeing that this baby would be born lacking the reasoning capacity. For the baby’s sake? Life is hard on such a one? No. Without a baby there is no ‘sake.’ It’s specious reasoning, even for those who have the capacity. And there is such an infinite variety of life that one cannot determine whether a child may not find some form to fit her joyfully. For the parent’s sake? I’m afraid so. Life is hard on the parents. Oh, people! Why must we so passionately seek to reduce sacrifice in our lives? Why do we so fear and hate hard service unto others that we at every turn run from it, calling the right thing wrong and the good thing bad? Do you not know that sacrifice is the very stuff of Christlike loving? And selfishness the seed of sin? No! Not if you are a Christian. For coming unto Christ is no mere shaking hands with him; it’s giving yourself to him wholly, body and soul. You are not your own. You were bought with a price. Another has authority of choice! So glorify God with your body, which glory is loving, which loving must needs be sacrifice (even if that be one of nine months duration, followed by a sharing of the love/sacrifice with an adopting couple). For my parents-in-law, Dorothy has been a 32-year hardship, indeed. But it hasn’t been empty, debilitating suffering. It has been a Christian opportunity. Romans 12:1-2 — Therefore, I urge you, brothers and sisters, in view of God’s mercy, to offer your bodies as a living sacrifice, holy and pleasing to God— this is your true and proper worship. Do not conform to the pattern of this world, but be transformed by the renewing of your mind. Then you will be able to test and approve what God’s will is—his good, pleasing and perfect will. O Lord, I do not pray for tasks equal to my strength; I ask for strength equal to my tasks. While standing in line at a grocery store checkout a few years ago, I noticed that the elderly woman in front of me had filled her cart with more food than she could pay for. “I just don’t understand where my money is,” she said as she desperately searched the depths of her purse. I whispered to the checker, “Total her bill, then accept whatever money she has, and put the rest on my bill.” I paid an extra eight dollars to make up the difference. The old woman never knew I had helped her, but after she shuffled away, the checker had big tears in her eyes. It was no big deal– an insignificant eight dollars– yet kind gestures are so rare today that many people find them shocking. We are commissioned to demonstrate God’s compassion to our world, and we can make a tremendous impact through simple acts of kindness. Ephesians 2:4-10 — Because of his great love for us, God, who is rich in mercy, made us alive with Christ even when we were dead in transgressions— it is by grace you have been saved. And God raised us up with Christ and seated us with him in the heavenly realms in Christ Jesus, in order that in the coming ages he might show the incomparable riches of his grace, expressed in his kindness to us in Christ Jesus. For it is by grace you have been saved, through faith—and this is not from yourselves, it is the gift of God— not by works, so that no one can boast. For we are God’s handiwork, created in Christ Jesus to do good works, which God prepared in advance for us to do. O Lord, your kindness changed us forever. Your love broke into our lives most unexpectedly. We give you thanks, and pray that you empower us to be kind. Amen. 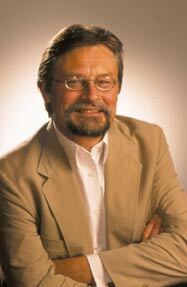 (…continued) In 2002 Harvard professor of psychiatry Armand Nicholi wrote a book called The Question of God. 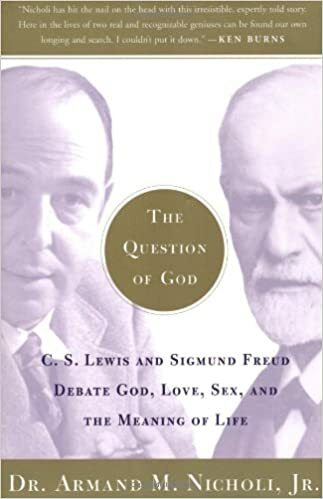 In the book, Dr. Nicholi addresses that question (and other questions) by looking at two of the 20th Century’s most influential intellectuals, Sigmund Freud and C. S. Lewis. Lewis was an atheist for the first half of his life, but after his conversion, became one of the most powerful and eloquent defenders of the Christian faith. Sigmund Freud was raised in a religious home, became an atheist in college and then, along with his revolutionary work in psychiatry, became a powerful critic of all forms of religious belief. Freud called any sort of belief in God an illusion and a form of neurosis, helpful only for those of weak minds. For 35 years, Harvard professor of psychiatry Armand Nicholi taught a class looking at the beliefs of these two men, and how those beliefs affected the way they lived their lives. He based his book on lectures and discussions from those many classes. A few years after the book was published, PBS produced a fascinating program based on Nicholi’s book. The program portrays the lives and beliefs of these two men, and adds a discussion by a panel of both believers and unbelievers, led by Dr. Nicholi. I was already somewhat familiar with the beliefs and arguments of the two men, and the panel discussion did not always interest me. But one aspect of the discussion was most intriguing. The whole program was presented as an intellectual debate between these two intellectual giants, and, between the seven intellectual participants on the panel. Those on the panel were there to discuss and debate whether or not it was intellectually reasonable to believe in God. But beneath all the sophisticated arguments was the influence and importance of personal relationships. In the lives of Lewis and Freud, and in the lives of the panelists, even more important than the intellectual arguments, was the influence of the community of people around them– fathers, mothers, friends, teachers, congregations, and people who helped them. An American scientist of Korean descent told stories of Christians who helped him and his family during and after the devastation of his homeland in the Korean War, and how because of that he was deeply drawn to the Christian faith. Today he is a strong believer in Jesus Christ, and was the most articulate Christian on the panel. Another man said that in college he did not have very strong beliefs at all, but he was attracted more to those of his friends who were atheists– and then later, found the arguments to support the beliefs of the group he had chosen to be in. C. S. Lewis himself was not at all interested in becoming a Christian, but was drawn to those other writers and teachers that were believers, and it was in that community that he finally came to faith. Sigmund Freud grew up in a faithful home of Jewish believers, but the Jews were mistreated by the Christian majority in the town of his youth, and though there were other influences, that negative personal contact certainly had a damaging impact on his faith. No one on the panel argued with the participant who said the people around us are more important in determining what our faith will be than the evidence or philosophical arguments for or against the existence of God. And this was in a program that was about primarily those intellectual reasons and arguments. Every congregation has its history of who started it and when, who served as pastors and leaders, what buildings were built, and so on. But the main story of every congregation is the story of how the faith has been passed on down through the years. A ‘communion of saints’ gathers each week, people grow up feeling a part of that community, and in that community faith is given and nurtured and sustained. In the Old Testament book of Ruth (1:16), Ruth says to her mother-in-law Naomi, “I will go with you, and your people will be my people and your God will be my God.” That is how is works. The people with whom we worship with become a part of who we are, and so does their faith. The Holy Spirit works through community just as surely as through the proclamation of God’s Word. People can still say ‘no,’ and often do. But it is for us to give the Spirit every opportunity to work in our hearts and minds. As is the case with so much of God’s word to us, there is in this a gift and a command. The command is that we obey the third commandment, remembering the Sabbath day by keeping it holy, gathering with this communion of saints each week to worship God. The command is to be here, but the gift is that the Holy Spirit will use this time together to create and sustain saving faith in our hearts. This is what is meant when we say in the creed that we believe in the communion of saints. Matthew 5:15- 16 — (Jesus said), “No one after lighting a lamp puts it under the bushel basket, but on the lamp-stand, and it gives light to all in the house. In the same way, let your light shine before others, so that they may see your good works and give glory to your Father in heaven. 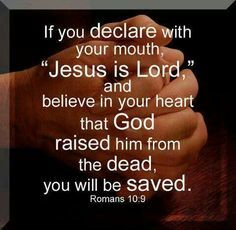 I Peter 3:15b-16 — In your hearts sanctify Christ as Lord. Always be ready to make your defense to anyone who demands from you an accounting for the hope that is in you; yet do it with gentleness and reverence. Keep your conscience clear, so that, when you are maligned, those who abuse you for your good conduct in Christ may be put to shame. II Timothy 1:5 — I am reminded of your sincere faith, a faith that lived first in your grandmother Lois and your mother Eunice and now, I am sure, lives in you. Great Shepherd of souls, bring home into your fold all who have gone astray. Preserve your Church from all heresy and schism, from all that persecute or oppose the truth; and give to us all wisdom and holiness and the powerful aid of your blessed Spirit. Amen.